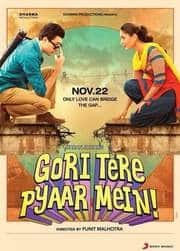 The plot of Gori Tere Pyaar Mein is ridiculous even for a romantic comedy. This is something I felt during the first half of the film. After the second half, there is nothing left to call ridiculous or even a romantic comedy. I have enjoyed Dharma's romantic comedies in the past, especially Ek Main Aur Ekk Tu (2012) and Yeh Jawaani Hai Deewani (2013). I was even amused by Punit Malhotra's first film - I Hate Luv Storys (2010). I admire both Kareena Kapoor and Imran Khan. 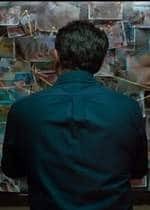 The genre, the actors, the songs, the production value - everything is in place, in fact it is so much in place that there is nothing left for a script. The first half of the film is fun and entertaining. There are many moments, which don't make sense, and the script seems to have been given no attention but there is something likable about it. It is goofy and the actors have good chemistry. Imran and Kareena look great together (again), but I was more interested in Imran and Shraddha Kapoor's sub-plot. I won't go into it because it contains spoilers. I hope they are cast in a film together and with a good director. If there is any actress today who knows how to be a Bollywood actress, it is Kareena Kapoor. I love watching her make average scenes look interesting. She can overact and make it look like she could do it on command. This kind of praise is meant for another review of a better film but in a film like this one you realize its importance. I think they were trying to make her into a memorable character like Geet from Jab We Met (2007) but didn't go the distance. She plays an "NGO types" and pretty much nails it. Imran Khan is an actor who I admire for reasons which could easily be taken for why he isn't considered a good actor. I don't exactly think he can act well but there are few actors in our industry who can do deadpan humor well. In romantic comedies like Jaane Tu Ya Jaane Na (2008) and Ek Main Aur Ekk Tu, you can see how he fits the characters like a glove and gives humor to situations which would fall flat otherwise. It is also extremely difficult to do "regular guy" roles. Every actor wants to be a star these days and make his presence felt. It is continually refreshing to see an actor who isn't trying too hard and just exists on screen. You feel like you know him or could even be his friend. To me, that is not something as casual as it seems. 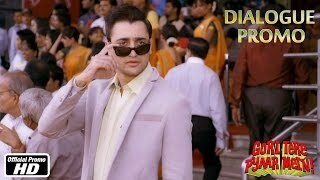 In this film, he plays a rich brat and does not make it look stereotypical. The music of the film is enjoyable. I love Dhat Teri Ki and Tooh. 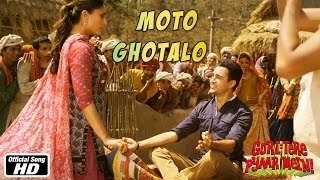 There is slapstick song set in a village called Moto Ghotalo which is amusingly choreographed with the villagers in the background getting their groove on. This is where I was confused as to what the film was aiming for. The tone is inconsistent. Sometimes, it wants to be silly and sometimes goes overboard with its filmyness. Other times, the humor is completely different ranging from dry to dumb. The producer, Karan Johar, had calculated a modest hit on paper. Just like Yeh Jawaani Hai Deewani, we have the same producer, good music and a typical template for a romantic comedy. There were claims that Ayan Mukerji was not the reason why that film clicked but Karan Johar managed to salvage it. This is where you can clearly see how wrong that would be. Sure, a producer tinkers with a film but a director shoots it with a certain intention. The core of that film was always in place. If Karan Johar had a magic wand, he could have waved it all over this one (Do not look for puns there). This film is a case of a directing miscalculation. The screenplay takes a nose dive after a point but a director can make it watchable if he recognizes the pulse of it. When you have an insipid situation after another, you especially don't make it "look" completely absurd. The story of two rich kids going to live in a village is great but this is what they do there? 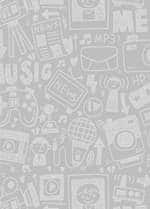 This? 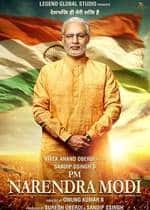 I don't want to see them go all Swades (2004) on us but at least don't make it look like a joke. Again, the tone is erratic. Sometimes it becomes farcical and then it goes for the dramatic. Punit Malhotra is clearly too excited with the material and tries to do everything with it. It's like a chewing gum. It is pointless apart from killing bad breath. It's a harmless distraction and after a while you throw it away. There are three options, though. You can either gulp it down, which is advised against. Or you can throw it away, which would be smart. The third is to step on it. It gets stuck to your shoes and then it doesn't come off. Something harmless becomes obnoxious and stupid. A song about chabaoing chingam is sung in the film, in case you were wondering why I'm elucidating a bizarre analogy. Don't expect an Ek Main Aur Ekk Tu and you might enjoy it. I wanted to, considering how much I like the two actors and romantic comedies. They should definitely do more movies. I just hope that it all falls into place.